Home is where the heart is. Most of us put our heart and soul to make our homes look perfect, don’t we? So do our Bollywood stars. And being stars, most of them do have palatial bungalows, whereas some still live in a more modest looking abode. Let’s take a peek into some of the most amazing homes owned by our very own stars. 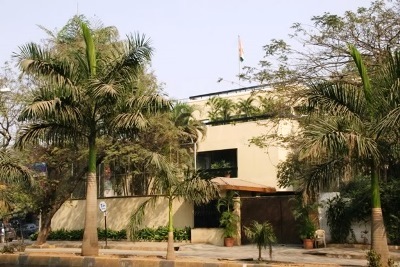 At one point point of time, Amitabh Bachchan’s bungalow was probably the most popular landmark in the Juhu-Bandra belt (among Bollywood stars), but not any longer (although it still remains a popular landmark). 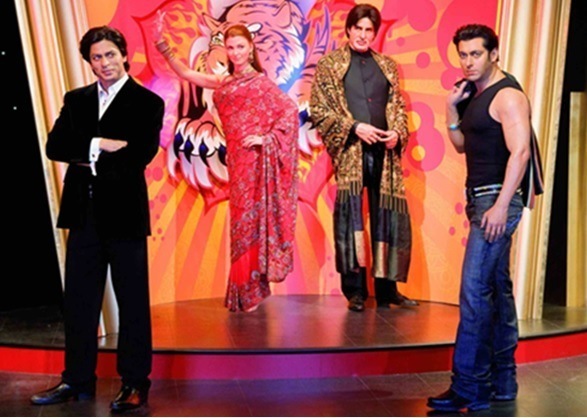 SRK’s Mannat is the bungalow that everybody, who’s fascinated by Bollywood, wants to see. Take a look inside Mannat. They don’t call him the “Baadshah” of Bollywood for nothing. 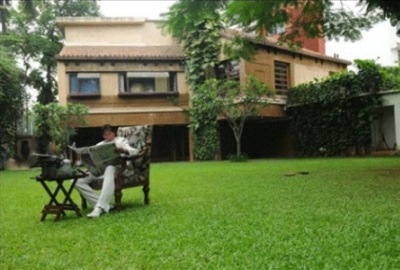 Actor Shahrukh Khans beautiful bungalow in Bandra is nothing short of a mansion. It is located at the plush carter road, facing the sea. Mannat was decorated by SRK’s wife Gauri . The interiors are lavish and furnished with items collected from all over the world. The house has 2 living rooms, offices, studio, a gymnasium, two floors of the families living area along with one area only for his kids, a library, a private bar and an entertainment center. There is also an extended section which has a comfortable and posh lounge for SRK’s story sittings. This 6-storey marvel is also a heritage building and a very popular tourist spot with most of the tourists visiting only to catch a glimpse of their favorite star. The 2 bungalow’s Prateeksha and Jalsa in Juhu are just as iconic as the superstar residing in them. Pratiksha, was where the family of Mr. Bachchan resided for 40 years before moving to Jalsa. Pratiksha holds a lot of sentimental value to the family since this is where Mr.Bachchan resided with his parents, wife Jaya and children. However, they moved to Jalsa, located 1 km away and presently reside here with his wife, son Abhishek, daughter in law Aishwarya and granddaughter Aaradhya. Apart from these the Bachchan’s own two other properties. Needless to say, both Pratiksha and Jalsa are famous tourist spots. 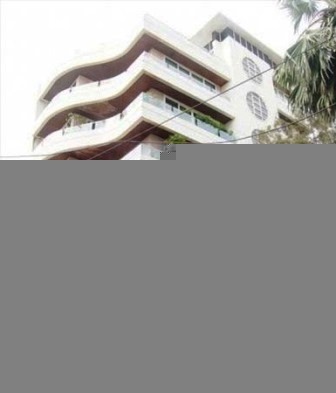 Located in Bandra bandstand, Galaxy Apartments is the residence of superstar Salman Khan. Galaxy apartments is said to be one of the most upscale luxurious house in Mumbai. Although, Salman Khan resides in a modest 1-bhk flat in the ground floor of the apartment, he continues to live in the same place as his family for sentimental reasons. Along with Salman Khan and his parents, Galaxy is also home to brother Sohail Khan, his wife and children and Salman’s sister Arpita Khan. On your lucky day, you may just about find Salman Khan in his balcony or window waving out to his fans. Akshay Kumar and wife Twinkle Khanna live in a beautiful sea facing duplex in “Prime Beach” in Juhu, Mumbai. Akshay Kumar lives on the ground floor, his mother lives on the first floor and his sister and her husband live on the sixth floor of the “Prime Beach” building. 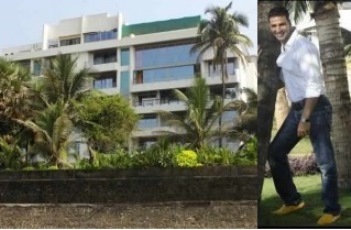 As you can see in the picture, Akshay Kumar’s house has a big and nice lawn and a great sea view. This 5,000 sqft prized property is Amir Khan’s residence in Bandra. Amir and his entire family live in this beautifully designed home which is a mix of Asian and European. True to his tag of being a ‘perfectionist’, Amir took 6 months to plan his house interiors with his designer. He has inculcated huge windows and ensured that the house captures the greenery of nature. This sea facing apartment was apparently a gift from producer Siddharth Roy Kapoor to his lovely wife Vidya Balan. The entire interior designing was overlooked by Vidya Balan before her marriage and she spruced it up just in time to move in immediately after she tied the knot with her beau. Located in Versova, famous actress Priyanka Chopra owns several flats in Raj Classics Apartments. The interiors were done up by Hrithik Roshan’s ex-wife, Suzzane Khan. The interiors are a mix of indo-western with subtle colors and textures. Priyanka Chopra resides at Raj Classic with her family. Raj Classic Apartments is also home to actor Sahid Kapoor. Named after father Raj Kapoor and mother Krishna, this bungalow is the current residence of Rishi Kapoor and Neetu Kapoor. Set in Pali hill, this address is well-known for its prime location and also the famous parties hosted by the couple. Till very recently, Bollywood heartthrob Ranbir Kapoor also used to stay with his parents before moving out to his own apartment. The reigning actress of Bollywood, Deepika Padukone is the proud owner of a 4 bedroom apartment in Prabhadevi nr Siddhivinayak temple. The actress resides in the 26th floor of the 33 storied building. The interiors are said to be a mix of traditional and modern. The 2,776 sqft apartment also comes with parking slots of deepika’s 3 cars. The complex boasts of two tennis, badminton and squash courts apart from an open exercise deck. 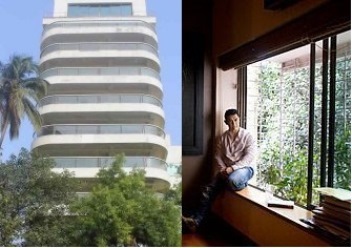 Saif Ali Khan and his beautiful begum, Kareena Kapoor reside in the 10th floor of Fortune heights. Saif also has his office in the same building. Fortune Heights is also where Saif and Kareena got married. They have also purchased four floors in the opposite building. Kareena is said to be overlooking the design aspects of their new possession. What would it feel like to wake up to the beautiful view of the sea. It may sound surreal to you but that’s how John Abraham wakes up every morning. 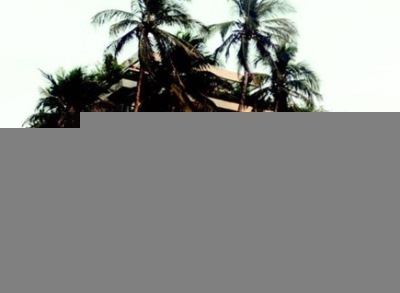 His luxurious villa in Bandra was designed by his brother who is an architect. The spacious apartment consists of two levels, 7th and 8th floor of the building and a terrace. The villa is designed using earthy and modern look keeping the vastu of the place in mind. With an apartment so well done and with a view to kill for, this one makes to the list of one of the most beautiful homes. i want email id of akshay sir .please send me. i get .good knowlage.